Unlike the phones in the old days, smartphones have a ton of things running both in the background and foreground. Depending on how intensive these apps and services are, they can quickly drain your battery and even reduce its life. To deal with this, there are a lot of battery saving apps for Android. However, most of them are not that good and generally doesn’t do anything to actually improve Android battery life. So, I’ve tested a few apps my self. Here are some of the best battery saver apps for Android that actually work. Isn’t “Doze” Good Enough to Improve Battery Life? Starting from Android Marshmellow (version 6), Google introduced a new feature called Doze. As you can tell from the name itself, the Doze mode puts your Android device into a kind of sleep mode when you are not actively using it. This ensures that no apps are abusing the battery while the device is sitting idle. 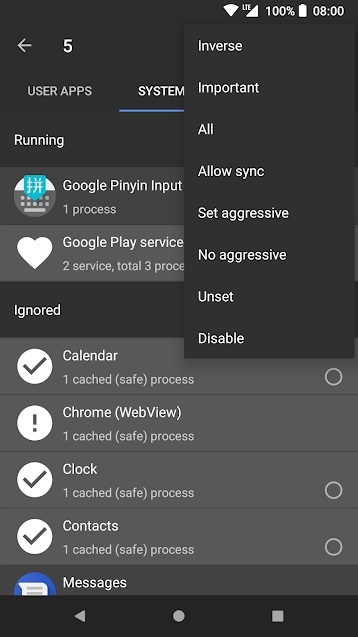 There are no settings to enable, disable, or even manage the Doze mode, it is built right into Android. When the Doze mode is enabled, only the phone calls, messages, and high-priority notifications are allowed to go through. However, there is a caveat. That is, to activate the Doze mode, your device’s screen should be turned off, should not be connected to a charger, and it should be perfectly still. For instance, if your Android device is in your pocket then the Doze mode can’t be activated because the device is being constantly moved. As you can tell, unless you are sleeping or someone like me who activates the Do Not Disturb mode and throws the mobile on the desk and forgets, Doze mode is not that effective. This is especially true for users who are moving constantly. This is the reason why most users need battery saving apps that can aggressively stop and block battery draining applications running in the background. Greenify is my favorite app when it comes to battery optimization and improving smartphone performance. Greenify is specifically designed to protect your Android device from battery leeching and performance hogging applications. With just a few taps you can make Greenify automatically stop the selected applications from running in the background. Do mind that you have to manually select the app you want to Greenify. For example, if you don’t rely on Google Maps and don’t want it running in the background making location quires, simply select the app with Greenify. It will stop Maps from the running in the background as soon as the screen turns off. Even if the offending app starts automatically, Greenify stops it immediately. 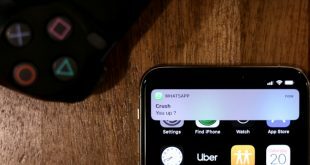 Considering how aggressive Greenify can be, don’t ever Greenfiy apps like instant messengers, alarm clocks, and any other apps that you’d like run in the background. Greenify can work flawlessly on both unrooted and rooted devices. However, unrooted device users will see a dark screen with hibernation messages for a couple of seconds when you turn off the screen. This cannot be avoided due to Android restrictions. Features of Greenify include aggressive doze, doze on the go, shallow hibernation, automatic hibernation, wake-up tracking, etc. 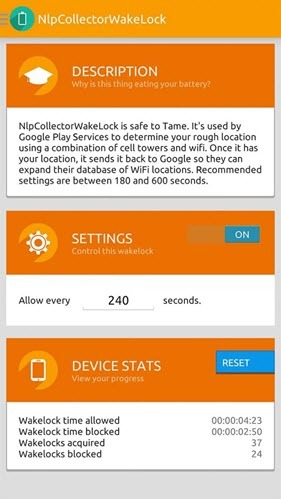 If your device is rooted and has Xposed framework installed, you can make use of additional features like wakeup timer, telephony wakeup, GCM (Google Cloud Messaging) push for greenified apps, ability Greenify system apps, ability to reveal hidden account sync tasks, etc. In general, the developer of Greenify recommend not to Greenify every app. Also, avoid constantly closing your apps from the recent app list. The Android manage is smart enough to manage the memory and battery. While, constantly closing them will result in reduced battery life. Price: Free. For things like the ability to Greenify system apps and other advanced features, you need Greenify (Donation Package) that costs you less than a $1. 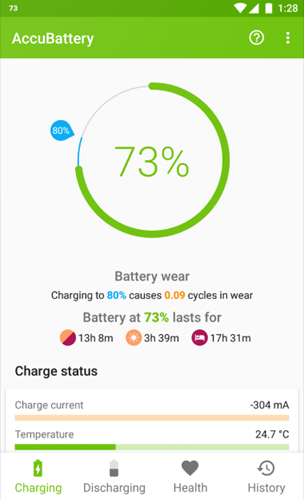 AccuBattery is yet another app that I like and used previously to improve battery life on my other Android device. Compared to other battery saver apps, AccuBattry has a smaller footprint but has a ton of features to properly manage the device battery. Some of those features include battery predictions for active use and standby mode, ability to monitor your battery usage, check how many times your device is being waked up from deep sleep, measure real battery capacity, detailed discharge speed and per-app battery consumption log, remaining charging and usage time, detailed history, support for AMOLED screens, etc. There are a ton more options. Just spend a little time with the app to get familiar with it. Other than to monitor your battery, you can also use AccuBattery to see how fast your charger or USB cable is charging your device not by predictions but by actually measuring the charging current. Price: The base app is free with ads. To remove ads and get access to features like dark mode, detailed battery usage history and historical sessions you need to upgrade to the pro version via in-app purchase. You can pay anywhere from less than $2 to over $20. No matter what you pay, you will get access to all the pro features. 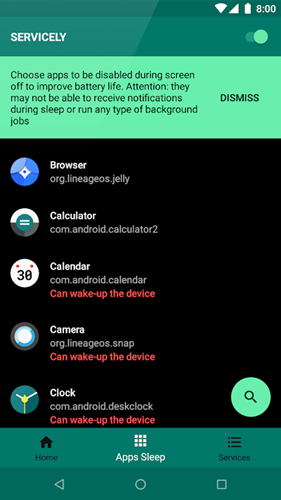 Amplify is a root-only and open source app that improves Android device battery life by controlling how often your device wakes up. i.e, it stops wakelocks. Simply put, Amplify identifies all the apps running in the background, analyzes them and then stops the apps that are preventing your device from going into sleep mode. These apps include alarms, instant messaging apps, and any other background service. The best thing is, Amplify has detailed descriptions for all the apps so that you can decide whether to stop the app or not. That being said, Amplify is optimally configured out of the box. Just use the recommended settings and you are good to go. Price: Base app is free. To get access to advanced features like the ability to control services and alarms, you need to upgrade to the pro version via in-app purchases. Servicely is the root only battery saver application that is very similar to Greenify. Being an app that works with root permissions, it can effectively manage your Android device and improve battery life in a no-nonsense way. One of the ways Servicely works is by stopping and even disabling the background services and apps automatically. 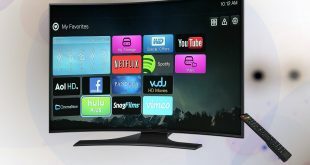 It can also deal with apps and services that auto-start. Do keep in mind that the app only shows what services and apps are running in the background, you have to manually select which one of them to be stopped or disabled. Once you select the target apps and services, Servicely will go on to work as soon as the display is turned off. Being a root application, be careful what apps and services you stop. Of course, you have to be careful of what you do when your device is rooted. Price: The app is free. Contains ads and in-app purchases. To remove ads, upgrade to the pro version via in-app purchase. 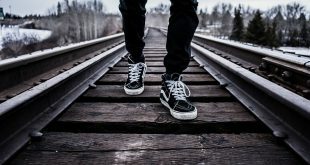 Brevent is an open source alternative to Greenify, i.e. it can prevent apps from running in long time. But unlike Greenify, it doesn’t require root access. Though, this comes with a cost of connecting your phone to your computer and run adb commands every time you turn you shut down the phone or restarted. If you have root access, then you can use the experimented root mode with which you use the application without having to execute the ADB command. Besides from the Android antivirus app, Avast also developed a pretty good battery saver app. The user interface of Avast Battery Saver is minimal. Just like the above two apps, Avast does everything for you in the background, all you have to do is tap on the Stop Running Apps button. Of course, you can either whitelist or blacklist apps from running in the background from the settings panel. One of the interesting features of Avast Battery Saver is its smart profiles. 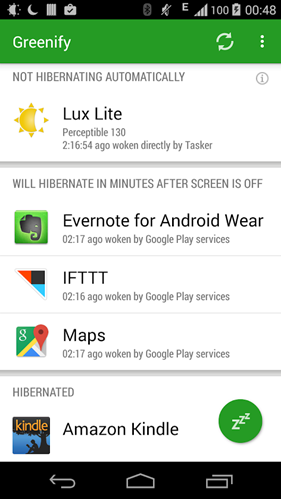 Depending on where you are, like in the home or at the workplace, you can set specific battery optimization settings. If need be, you can trigger those specific settings when you are at a particular address. You can even set and modify the Emergency profile which will be activated when your phone charge goes below 25%. All in all, Avast Battery Saver is a very simple and straightforward app that does exactly what it says. Give it a try and see if it fits your needs. Price: Base app is free with ads. To remove ads and get access to address profile activation feature you need to subscribe to their monthly or yearly plan via in-app purchase. But, the free version is plenty enough for the majority of users. 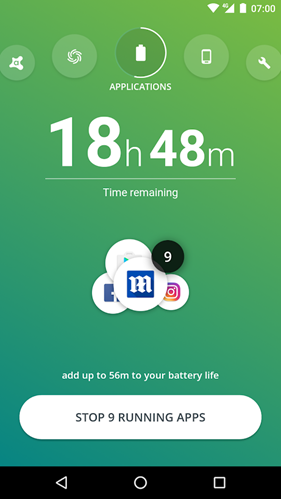 So, these were some of the best battery saving apps for Android. While, these apps will help you to extent your batter life with a decent margin. In general, keep the brightness low, turn off all location services, and keeping a power bank handy, is the real way to go. Comment below to share your thoughts and experiences about using the above battery saver apps for Android.